Idea - What is your Purpose of starting a podcast or Why are you starting the podcast, this leads to idea generation or creation of a podcast worth of listening. Itunes Podcast art work - a minimum size of 1400 x 1400 pixels and a maximum size of 3000 x 3000 pixels, 72 dpi, in JPEG or PNG format with appropriate file extensions (.jpg, .png), and in the RGB colorspace. To optimize images for mobile devices, Apple recommends compressing your image files. You summarize the idea of your podcast, the details of your podcast in 250 words of less. Pre Production: Create show notes on the content of what you want to achieve from the episode, Long form content or short form content. Invitation of your guest to come for an interview, if is an interview style podcast, scheduling for a studio or creating content in your personal podcast studio or using a personal mic. Google YouTube Public Library for free Music for commercial use, Addition of podcast intro and call to action at the end, Podcast Intro can be gotten through free music on apple store. Distribution: Pod-bean and further distribution through Stitcher, Apple Podcast, Spotify using the RSS Feed. Marketing: Instagram and YouTube are major social media that helps in promoting your podcast. I was slated to travel in July 2018 to Netherlands for the world AIDS conference. I am a refugee in the United States with an unexpired form i-131 Refugee travel document (RTD) my document was set to expire in September 2018. As my travel drew closer my mind was unsettled so I decide to put in a new application in March 2018, and was fingerprinted in April 2018. As my July travel date approached, my document was still being processed. I decided to go for a follow up appointment with USCIS [United States Citizenship and Immigration Services] office, I checked online for an available slot in NYC but all to no avail, so I decided to look outside NY city and found an appointment in Long Island, I took the appointment, woke up early and stood in line but was referred back to USCIS office in NY city at One Plaza. Spent all day there for me to be told by the immigration officer that nothing can be done my application is still pending, same answers I already knew why allow me spend all day and night to just confirm that am being put in misery. A few days later, I got a mail from USCIS; I thought the new document have arrived, oh no sorry the same sad news, I did not attach my old document. They requested for the old document, but I search on the internet and could not find the information of renewing the document. The sad story continue I miss out from my trip to present at the world AIDS conference in Europe, sadly I decide to alleviate the pain faced by many immigrants which is low information on the internet by creating this blog post. I got my new document and was able to travel to Netherlands in September 2018, Canada October 2018 and Mexico November 2018. I am going to be sharing my top travel secrets with the refugee travel document and answer your most pressing questions. What is refugee travel document? The U.S Refugee travel document called form I-131, is a travel document similar to a United States Passport, issued by the United States Custom and Immigration Service (USCIS) Refugees and Asylee, this document last for just a year from the date of issuance. 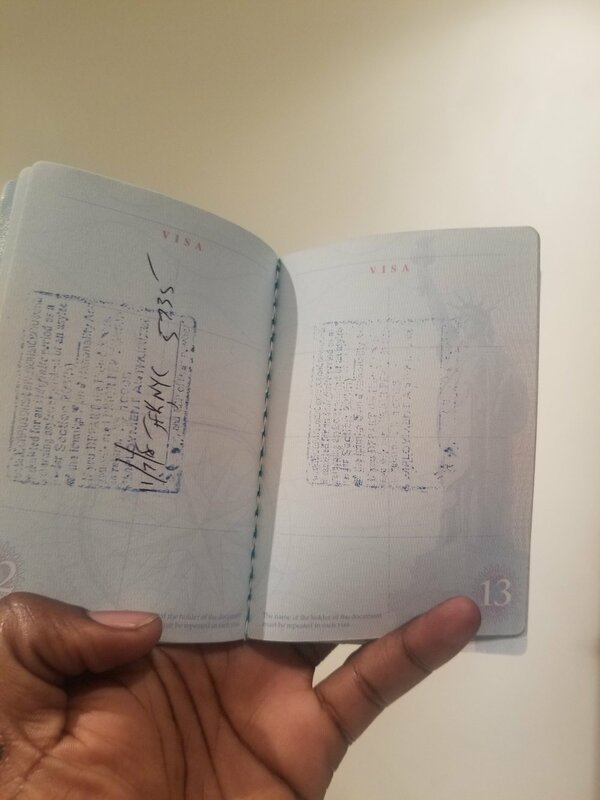 The refugee travel document is just like a passport, the difference between the document and the United States passport, the United states passport is for the United States citizens, this also come with more benefits such as traveling more destinations visa free and less hassle returning back to the United States. Who needs a refugee travel document? The Refugee travel document is similar to a reentry permit, the Refugee travel document is issued to asylee and Refugees living in the United States, to enable them travel outside the United States and return safely. Refugee travel document is strictly for refugees and asylees residing in the United States, Reentry permit is for non-United States citizens who want to travel outside the united states, advance parole is for non-united states citizens who filed for Asylum and green card while awaiting their official status have an emergency travel. Advance parole can be issued on the same day, un like the Refugee travel document and Reentry permit. The refugee travel document takes average processing time of 5.5 months, the document itself last for a year from the date of issuance. Renewal of the refugee travel document is as easy as reapply but you need to attach the existing or expired travel document. Expediting the document is solely at the discretion of USCIS, the expedite processing takes up to 12 weeks. Is refugee travel document a visa? The refugee travel document is not a visa, but have some countries you can travel to visa free. Attached are photos of my refugee travel document with visa stamps. And Lastly, if you want to learn more about immigration Subscribe to the Pont Podcast if you experienced something like this or similar to this? tell me more about your experience in the comment section below, if you have further questions please comment below?